Single Loop Controllers 6100 and 6400 (West) - BG electric e.K. 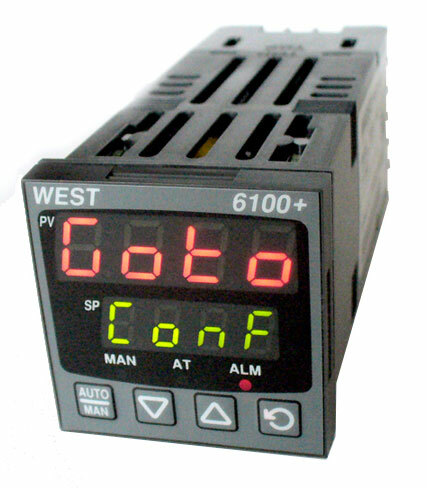 The West 6100+ is part of the Plus Series of controllers that take flexibility and ease of use to new levels. The 6100+ controller is an evolved product from the N6100. The product benefits from having more versatile features and user-friendly functionalities such as remote setpoint inputs, digital inputs, plug-in output modules, a customisable operator/HMI menu, jumperless and auto-hardware configuration, and 24VDC transmitter power supply. It has been designed to incorporate improvements, save users’ time (as much as 50% on product set-up), reduce inventory stock and virtually eliminate the likelihood of operator errors. The 6100+ results in providing a product which surpasses competitive offerings in terms of ease of use, delivery and value for money. 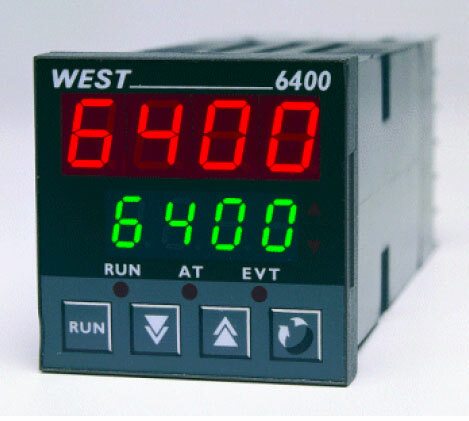 The N6400 is a powerful, single loop profile controller for complex processes. It offers profiling capability with 4 programs each of 16 free format segments. The N6400 is an easy to use controller, which benefits from an informative display providing maximum process information at a glance. A dedicated configuration port allows configuration directly from a PC and allows for the development, transfer and storage of recipes by dedicated software.